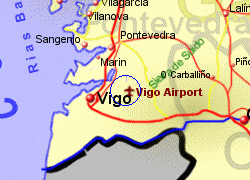 The Real Aero Club de Vigo golf course, first opened in 1960, is situated on the western side of Vigo airport, within 150m of the runway. 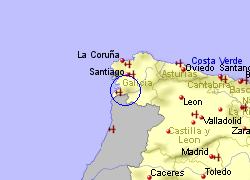 When played as 18 holes, the course is par 70 with a length of 4638 to 5481m. Facilities include a covered driving range, putting green, pitching green, chipping green, practice bunker, and restaurant. 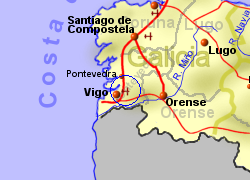 Map of the Real Aero Club de Vigo area.